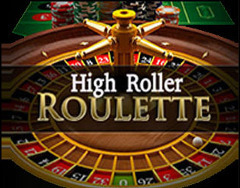 High limit roulette is mostly played on the European roulette wheel, with stakes considerably higher than conventional roulette games. Many online casinos offer high limit roulette, but if you choose at these increased stakes it is important to play at a reputable casino. Online locations such as Ladbrokes Casino and Sky Vegas both offer high limit roulette, with stakes up to £50,000 per spin. If you play at these stakes you can consider yourself a high roller, or Whale as they are sometimes referred to. Playing at these high limits offers potential returns in a matter of minutes of more than most people’s yearly wage, and as such you can expect exceptional treatment from your playing location. As sign-up offers of a couple of hundred pounds will be insignificant, you will often find yourself a dedicated member of staff who will take care of you. This is true of not only online casinos, but also most land based casinos too. High Limit Roulette is mostly considered as chips of £100 or more per number, although there is no set guideline, or limit. Some high limit tables allow no more than £10,000 per spin, whereas others may go up to £100,000 or more by special request.